Log into your control panel and click on 'Plugin Store'. Search for 'Email Validator'. 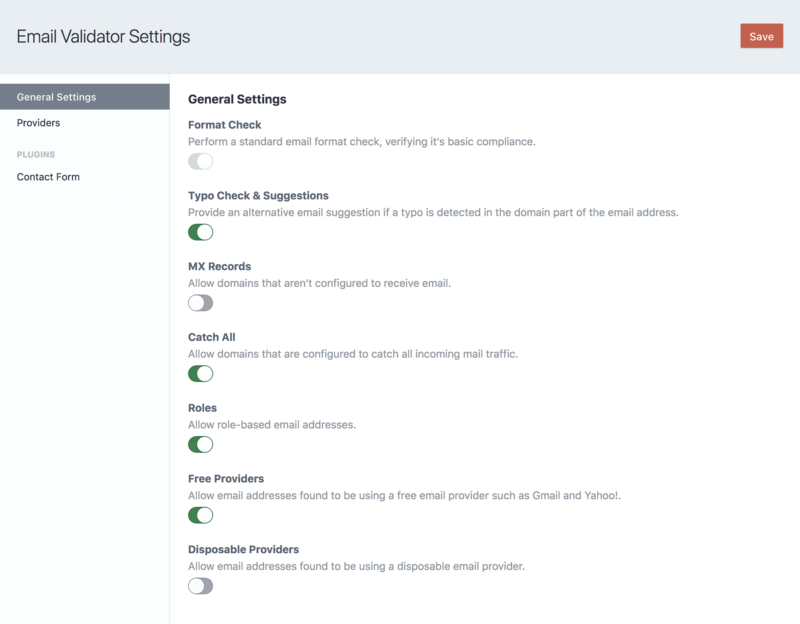 In the Control Panel, go to Settings → Plugins and click the “Install” button for Email Validator. You can toggle which checks are enforced by updating the plugin settings. Typo Check & Suggestions enabled Provide an alternative email suggestion if a typo is detected in the domain part of the email address. MX Records disabled Allow domains that aren't configured to receive email. Catch All enabled Allow domains that are configured to catch all incoming mail traffic. Roles enabled Allow role-based email addresses. Free Providers enabled Allow email addresses found to be using a free email provider such as Gmail and Yahoo!. Disposable Providers disabled Allow email addresses found to be using a disposable email provider. If you create a config file in your config folder called email-validator.php, you can override the plugin's settings in the Control Panel. Since that config file is fully multi-environment aware, this is a handy way to have different settings across multiple environments. Here's what that config file might look like along with a list of all of the possible values you can override. 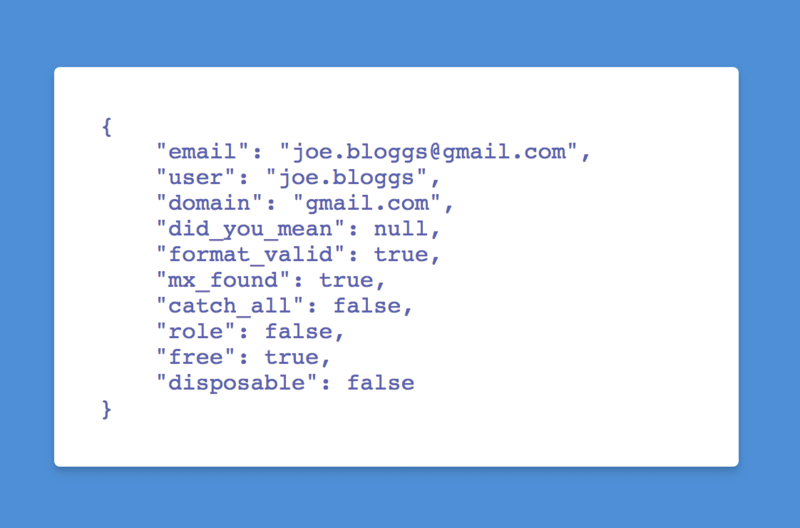 The plugin will automatically enforce it's validation checks if Verify email addresses? is checked in the user settings. This response will be returned. If you have the Contact Form plugin installed you can validate submissions using Email Validator. The email address being validated. The local part of the email address. Contains a 'did you mean' suggestion if a potential domain typo has been detected. Returns true or false depending on whether or not the email address format is valid. Returns true or false depending on whether or not MX Records could be found for the requested domain. Returns true or false depending on whether or not the requested email address is found to be part of a catch-all mailbox. Returns true or false depending on whether or not the requested email address is found to be using a disposable email provider.